It is the start of a new semester. If you are like me, you are just starting your career in university. Moreover, also if you are anything like me, you most probably dread quite a few things about uni life. Moreover, on top of that, we realised international students! A new start in a new university in a new country. What could go wrong? It is not much of a dreadful feeling but more of your insides doing a full gymnastic routine as the clock counts down the minutes until your orientation. Orientation is just sitting in a big hall while someone on the podium talks. So, in theory, it is nothing to worry. However, the thought of having to see so many people as well as being in an unfamiliar situation can be pretty overwhelming. Even though it is nerve-wracking, keep in mind that the orientation session is for you to understand how you can make the most out of your time in the university by using the resources available to you. 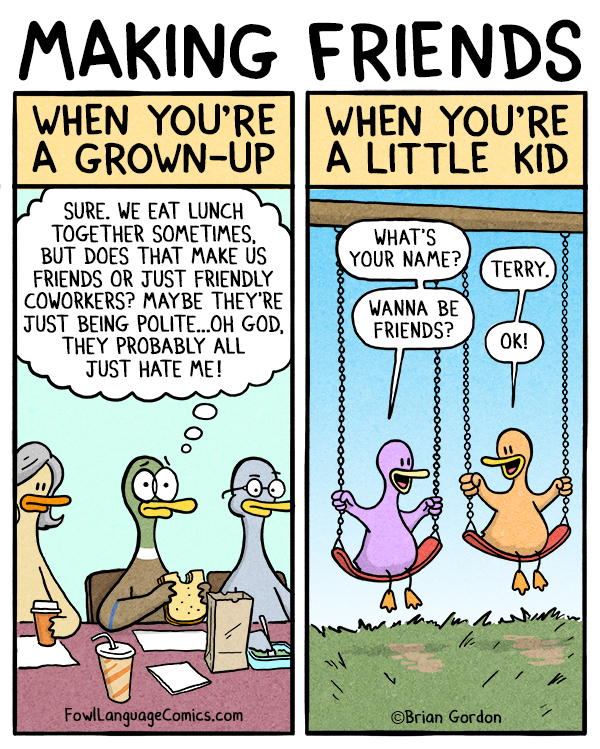 If only making friends was as easy as when we were kids. In high school, it is easier to make friends – you are in a set classroom in your year, and you know those people. University, it is different. You would be pretty dang lucky to go to the same university as your best friend and even luckier if you are doing the same course! However, of course, not everybody can have that kind of luck. Mere mortals like you and I are thrown into the crowd of freshies feeling somewhat vulnerable. You are not entirely sure of other people’s intentions or how they are going to react to your unique personality. Some just ooze confidence and charisma, and that is the bomb dot com. Someone may strike a conversation with you, and it goes right. Moreover, sometimes it is only after the conversation ends do you realise how you could’ve added that extra spice. Then you are just waiting for the chance to use that witty comeback you had saved up. Certainly, trying to make friends can be a challenging task but with persistence (along with an open mind) can help you generate a spark with your peers. I was looking through my subject outline, and I noticed for a few of my courses, there would be a group assignment. Oh no. My head was already spinning at the thought of having to talk strangers, but I was also anticipating I would have to do a lot of the work too. It is pretty unreasonable to think so negatively of my peers since I have not even met them yet. 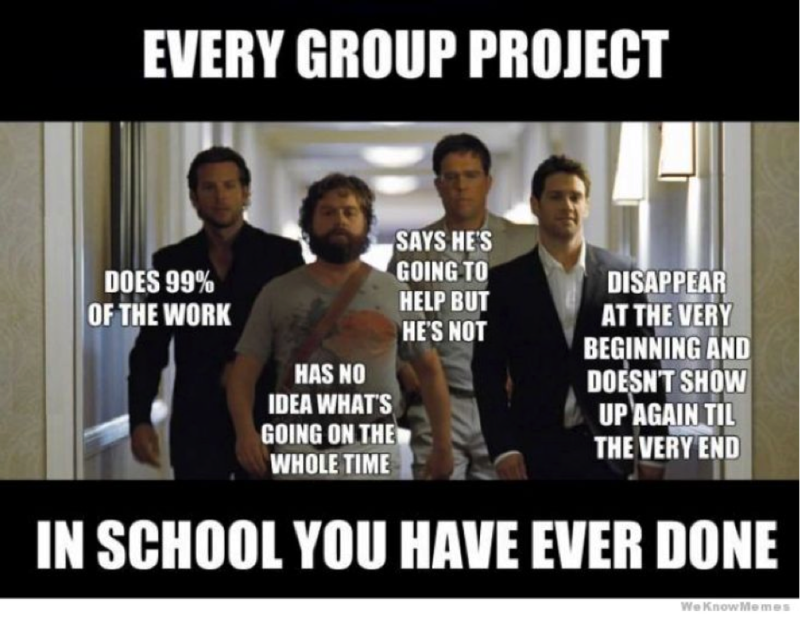 However, I have had some bad experiences working in groups in the past. To avoid doing all the work yourself, be sure to communicate clearly and thoroughly with each other. Work out what is expected of the assignment and from each of you. Delegate the work equally among everybody and help check each others’ work. Directions and I do not mix too well. Having to search for my classes, in particular on a large campus, is a nightmare. I also hate being late. When you walk into class after trekking 50 kilometres just to find it, people will stare at you like you have murdered someone. Lateness also shows that you are unprepared for work, and that does not give the greatest first impression. In order to avoid such situations, it is best to explore the campus beforehand to locate key locations – lecture halls, tutorial rooms, cafes, bookshop, and other important places. However, the university is bound to be a great experience. Here you will meet people with colourful personalities from all over the world, network with your peers, and perhaps make lifelong friends. So take a deep breath, chin up, and do your best. There are many more things that can shake up newbies so share your experiences in the comments down below! How did you overcome your nerves during your first few weeks at uni? 30th June and 1st July are coming, it is a splendid time for you to lodge your tax return. But should you lodge your tax return and how do you lodge it? Well, here are some steps to help you lessen the hassle. Why do you need to submit your tax? For example, you are an international student with a tax file number, working casually at a bar. Before starting the job, you are required to sign a few documents including a tax file paper. So every time you receive a payment transferred to your bank account, there is a section of tax deduction in your pay slips. So at the end of the financial year, you are eligible to proceed with a tax return. If you earn less than 18,200 AUD dollars a year, and you paid tax during the financial year, you likely to get all of the tax back. However, if you are an international student with a tax file number, working part time in a coffee shop, no papers had been signed between both sides, and you receive cash in hand every week for your payment; you are not eligible to lodge a tax return. This is because the tax department does not have any tax record of your income. This is the ATO’s app to keep track of your income and expenditure, checking the tax return that you could claim. If you have any trouble lodging your tax return online, you can make an appointment by calling 13 28 61 for TAX HELP, running across the country from July to October. (However, you should check your income status). If you need help with translation and interpretation, please phone 13 14 50 for further assistance. The online system, myTax, is available 24 hours and only takes 2 weeks to receive the refund. This method takes 50 business days for the refund. You can also lodge your tax return through an agent. You are required to pay an administration fee for application preparation and the lodgement process. It is that time of the year again. Exams are looming. Late nights. Junk food binge. There are times when you do not even feel inspired to study for your exams, and everything is just static in your head when you think about your tests. Listening to music, however, may help you buckle down and focus on exam prep. Studies have shown that listening to music before studying or doing a task can be beneficial, as it improves attention, memory, and also your ability to perform mental math. Here are a few ways to tone down your distractions and turn up your concentration. 1. A playlist of songs you are familiar with and could never get tired of listening. Personally, I find that listening to music does help me concentrate. It is usually songs that always listen to, or I have memorised over a period. Therefore, the songs have become natural to me, and it becomes nothing more than just rhythm and beat. By focusing on the rhythm and beat, I can mesh together what I am studying/reading with the beat of the song. When I get into the groove of studying, the songs just become soft tunes in the background. 2. Repeat a song over and over. Compared to the previous method, this ensures a steady rhythm and tune for you to memorise and study. I’ve been listening to “Bring Me To Life” by Evanescence on repeat to prepare for my exams, and I find that the rock beat keeps me awake and focused. Personally, slow songs make me feel relaxed as supposed to upbeat songs. I felt much more lively and driven to get stuff down when I listen to “Bring Me To Life” or any other rock song because it is fast-paced and exciting. 3. Listen to acoustic or instrumental songs. When you are trying to memorise things in a particular order or are processing a lot of written word, songs with vocals might not help. Your brain might be thrown off and confused by various words in the song. Music that is too upbeat or loud can be distracting so find something that helps you relax but also with enough beat or rhythm to ensure you do not zone out while studying. Choose classical music or more acoustic music with minimal words to distract you. Try turning into scores from some of your favourite movies while you study. 4. Join a music streaming service and try out one of their automatic playlists or create your own! Spotify is great if you are out of new music or if you have not any acoustic or classical music to listen. Sign up with your Facebook or Google+ account and you’ll have access to a multitude of songs from various artists. There’s a range of playlists you could choose from to suit your whims but don’t spend too much time browsing that you end up wasting your time! Apple Music also has the same features as Spotify too if you are more comfortable with that service. The bottom line is, the final decision about studying while listening to music is up to you. You decide how you study and concentrate best – with a little T. Swift in the background or a little Ed Sheeran or some All Time Low. Alternatively, better yet, no music at all. Music’s effects on study habits will vary from person to person and also depends on the genre, how loud it is, etc. However, to be most productive when you study, you need to find out how music will affect your studying ability then curate a playlist based on that to best suit your needs. When someone offer you something or share with you an idea about a particular thing, but you “don’t like it”. How could you express it to them verbally without hurting their feeling or showing a disrespectful manner? Using the wrong English expression or phrases might damage your relationship with other international friends, who you can only use English to communicate with them. You may even cause serious consequences when replying to strangers. So, instead of saying “NO, I DON’T LIKE IT,” here are some other phrases in English that you may want to note. When I first came to Australia and lived with an Australian host family, there is one thing that I have only heard and seen the American movies. The dishwasher. Honestly, I don’t know to use it. What can or can I not put in? Here’s a list of things that can save your dishwasher and other kitchen utensils from improper use. The hot water and dry cycle of the dishwasher will cause the wood to swell and crack. Scrub your wooden utensils and chopping boards with a mixture of bleach and cold water to kill the bacteria. Heat from the hot water and the dry cycle can possibly warp your plastic bottles out of shape. Moreover, it’s quite expensive to pay for plastic containers in Australia. The dishwashing detergent can pull off any labels on your bottles or jars. This little rubbish might clog your drain during its disposal flow. You might ignore this small thing but the trash can build up. In the end, you might have to call and pay a technician to repair your dishwasher. This just might be the biggest never of the list. A dishwasher works like cookware, such as a microwave. What happens if you put disposable aluminium in there? Black marks. Yes, it leaves black marks. The surface of some nonstick pans or pots might be damaged as it bangs on others during the washing process. You may risk its nonstick quality in the long term. Hot water, water pressure and detergents can eat away its hand-painted decorated details. A majority of these are quite expensive to repurchase. You might find your cheese still stuck in the holes after finishing its washing cycle. So don’t waste time with the dishwasher, since you have to hand-wash it later on. Simply hand washing it with soap. Easy and Quick! Finally, I have decided to follow my mum and the traditional style…handwash!! If your skin is sensitive, please remember to wear gloves when washing and dry your hands immediately once you finish. You don’t want to spend heaps of money to buy expensive hand lotion or to visit your PG. How to deal with a bad score? I got a bad score?! From a college entrance exam to a high school test, we’ve all received frustratingly bad marks. It’s easy to let the mark prompt rash actions or lower self-esteem. So as the master of bad marks, I have discovered the best three solutions and the worst three solutions to deal with a bad mark. Reach out to a friend and confide in them. Chances are you will feel better letting out your emotions than withholding it. Once, I received a terrible mark and almost went to accuse the teacher on a personal level. Thanks to the words of wisdom from my friends though, it snapped me out of my anger and motivated me to work harder to prove I am better that mark. With friends as your best support network, your thoughts on that bad mark will drift away. Perhaps you need a new swimsuit for summer or your gals want to try out fine dining. Whether it be arcade or movies, engaging with your pals is a reassurance that you have a whole group supporting you and chances are definitely that friends can relate. You might even find friends sharing funny stories on their stupid test mistakes. Stop sulking in bed and grab a punching bag to let out that steam. If you aren’t a gymmie, play your favourite sport or do something fun like trampolining at Sky Zone Alexandria. Exercise can be as intense as rock climbing or simple like walking your dog. If you feel restless in bed from the thought of that bad mark, what exercise does is that the endorphins—chemicals in the brain that act as natural painkillers—improve sleep, which in turn relieves stress. Hence, if construction kept you up all night before the day of the exam, throw a good punch and get a good nights sleep after. A must to do after receiving that bad mark is to reflect and improve. Why did you receive this low mark? Was procrastination at its finest or was your study approach inefficient? If possible, find out the correct answer sheet, even better with explanations, and pinpoint where the mistakes were. This way on the next time round, your new study methods and exam habits can improve you chances of a high distinction. As much as we would love to binge watch the Harry Potter series or Orange is the New Black, excessively watching movies, playing video games or surfing the Internet are temporary fixes with risk factors in the long run, such as Internet addiction disorder (IAD). Sure we could all do a chill night at the bar during Happy Hour with friends but it’s easy to lose sight of how many shots you’ve taken. As if a bad mark is not good enough, you might find yourself dealing with drugs or pills to ease the pain away. The more you look to drugs, pills or alcohol as your solution to deal with a bad score, the more attached you will get and end up causing more harm to you. When something bad happens, it can become responsive to lash out on other people. While your roommate might have played the music too loudly during your study hours, the test was still taken by you after all. Do not let the anger bubbling inside translate into irrational actions such as writing a hate letter to the board or engaging in physical violence on others. Keep calm and carry on. At the end of the day, a bad score is not the end of the world. Mistakes are there for us to learn from on wrongdoings and work on our improvements. Don’t seclude yourself because of that one bad mark; there are plenty of chances in the future to improve. Move forward with a clear idea of what you need to do next. Guess what? It’s week 5 of university. Mid-sem break is on the horizon for the most of us. But assignments are looming as well. Soon enough the burdensome work won’t be on our shoulders, but crash land on our head. As humans, we cannot help but do exactly the opposite of what’s good for us. And that includes finishing work on time to reduce stress and anxiety. No matter how bad our study habits get, we never learn our lesson and end up pulling that all-nighter either way. And many of us do not realize the small things we do to ruin our study time or things we could do to improve it. So here are various tips that tackle the the root of this issue. This tip may seem to some, a bit of an over exaggeration, but keep in mind that this tip is for people who struggle with procrastination. This is how it works: As soon as you wake up, read through what you have allocated yourself to do. This can be during breakfast, train rides, before getting out of bed, or any time before starting the day. It can be a notification for an assessment, a to-do list, something marked on your calendar or questions to answer. Then throughout the day, keep giving yourself mental reminders about your tasks, set alarms on your phone, literally anything that will force you to remember it. Say it out loud to yourself if you have to (well…not in public because that might be somewhat embarrassing). When you finally get home and actually sit down to complete your work, the reminders you gave yourself all day will help you stay focused, motivated and potentially more organised. Distractions are horrible. Let’s take your phone as an example. The electronic box of miracles that has Instagram, Tumblr, Facebook and Youtube.Its almost inevitable that you check it. So when you work you need to keep them out of sight, right? Not quite. Some people need to completely cut out distractions, but it works differently for others. An opposite effect is created where their curiosity bites at them, urging them to look back at their phones. This is how it works: Every 20-25 minutes of solid work, give yourself a break to scroll through your phone for a few minutes. After all, when we get short term rewards, even if its 5 minutes of time with our phone, we’ll work rather than have long term rewards. Pomodoro means tomato is Italian. Also, if you use a tomato timer, it has a magical effect. The Pomodoro technique is a time management technique which requires the breakdown of time into intervals of 25 minutes with 5 – 10 minute breaks in between. This technique is effective as it gives you a good amount of time to focus on your work and a short break to rejuvenate you! But if you get too distracted by your phone, Youtube videos, music videos or anything that involves the excessive movement of pixels on your screen, you and electronics probably don’t go too well together (especially on short breaks). Try getting up to stretch, walk around or grab a snack from the fridge. 4)Best place to study: Home or Library? The answer is that it depends on you as a person. First, lets look at both the environments and make sure we know exactly what they both hold. A home environment means you have pretty much everything readily available. To name a few, you have unlimited coffee, food, pajamas and a bed for napping. On the other hand, i the library, its a little less confortable. The environment is more disciplined as you are there for one reason and one reason only: to study. Some people work best at home because they find it mentally and physically comforting to work in the comfort of their own home. As for the other majority of people, they find it hard to concentrate. This is because the comfort of their house is in fact, a distraction. For eg, when we sit on bed to work but it just turns into a progression of sitting up, to laying down and eventually falling asleep. Some people love working in the library. To those people, good job! Other people prefer to work at home where there’s coffee readily available, food in the fridge, pajamas and a bed for quick naps. Honestly, you cannot work in an environment that provides excessive comfort. First off, with the food you have, you’re at a risk of overeating while studying if you tend to comfort eat. As for your bed, you’ll just be tempted to sit there and work, because “comfort” means a progression from sitting up to laying down to instantly falling asleep. So it’s a Saturday afternoon and you want to work with a friend. So you call a friend. Let’s name him Bob. Bob is great! You both get along real well. He’s funny, he’s goofy, he sets the positive vibe, you two get along like Lee and Carter. The day finishes before you know it. You both say your goodbyes and leave. Later on when you look at your books, an impending feeling of doom stirs in your gut. You finished no work. What does this story tell us? No. Not that you shouldn’t work with friends at all. It just means you need to work with someone who motivates you to work too. I mean Bob was great, but he was also distracting. If you know you won’t be studying with your partner-in-studying, then you might want to reconsider. This doesn’t mean you need to break it off with your friend! It just means you need to prioritize work over them sometimes. These tips aren’t genies hidden in lamps, they don’t magically make your dreams come true! Life isn’t a Disney movie. If these tips don’t work, do what works for you! If it’s your thing, then it’s your thing. The only person who can make you work, is you! Don’t let anything stop you from working hard! Dominate and conquer like you must! I know that it’s easier said than done. But trust me, there will always be times when you feel like a cat that can’t catch the red dot. But stay strong and trust yourself with this, you can do it! University is not high school. Lectures are larger and professors pay less attention to students as individuals, such as your attendance. This is not to say that arriving to a lecture late is okay since some courses take attendance of lectures more seriously than that of others. As a comforting note, while you might see all eyes on you when you enter that creaky door, students will forget about you in the blink of an eye and therefore will not label you as “the-one-who-was-late-thirty-minutes”. More likely than not, other students will arrive much later than you did. Tutorials often seem intimidating because of the small class size or the sharp eye of the tutor or you might see yourself as he only dumbo who doesn’t know the answer. But you don’t have to feel that way. Tutorials are designed to challenge your critical thinking. Chances are, many other students in the tute are as intimidated as you. Doing tute-prep, participating in class, paying attention and taking notes are the best ways to sit through tutorials feeling confident. Making friends is completely up to you. Just be friendly and be yourself. Sounds simple right? Then again there’s that fear of rejection or paralysis of approaching people. Having the butterflies in your stomach is a natural reaction when meeting new students but it’s important to go outside your comfort zone. Honestly, the girl sitting next to you is just as nervous as you are. Break the ice with a friendly greeting and keep a conversation flowing. Who knows? Maybe you two study the same major, share three classes and enjoy the taste of kebabs. Oh, and don’t forget to ask for their Facebook. One last important thing I cannot stress enough – get social! Make the most out of the clubs you signed up (and paid for) during Orientation Week by attending weekly meetings, keep in the loop by following their Facebook page for special events. Maybe you might have missed out on their meet-and-greet but better now than never. 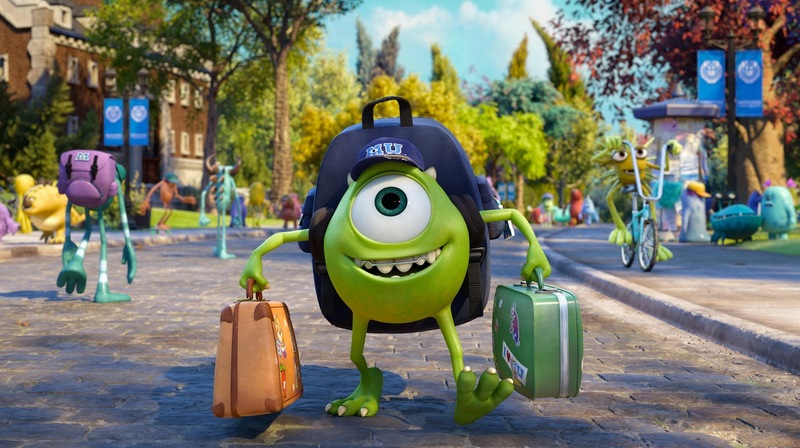 And don’t worry if you didn’t get to Orientation. There are faculty camps that are wonderful bonding experiences, on-campus social parties to meet new people and Facebook pages for each club or society. It will be the best decision you could ever make. So what are you waiting for? Your first week might have been bad, but learn from your mistakes. Start fresh. Start new. Guaranteed you’ll find university life one of the best times of your life.